The Trane AC unit is one example of energy saving air conditioners that far exceed US government requirements for energy efficiency. The Seasonal Energy Efficiency Rating (SEER) is used to rate the energy efficiency of central air conditioning systems. Until January 2006, the minimum required SEER for central air conditioners sold in the US was SEER-10; it was upgraded to SEER-13 at that time, with ENERGY STAR-qualified systems requiring SEER-14. In January 2009 the ENERGY STAR rating is scheduled to rise to 14.5. While all manufacturers selling air conditioners in the US must meet the government minimum standards, and many strive to meet the higher ENERGY STAR standards with their high-end models, the XL19i Trane AC unit has an SEER rating of up to 19.5, or nearly half again as efficient as the ENERGY STAR standard requires. For this reason, many people begin their search for an ultra-efficient air conditioner by looking at the XL19i Trane AC unit. Recently Trane came out with the XL20i, an even more efficient model with an SEER rating of up to 20.0. It has two compressors, one for milder days and one for the really hot, sticky days. To convert between SEER and EER, see my conversion formulas at Air conditioner ratings. Maytag, Nordyne, Tappan, and Westinghouse all sell central AC units with SEER ratings of 23 to 24.5 (all manufactured by Nordyne). See my separate article on the Nordyne air conditioner for full details on the iQ Drive technology behind this great product line. In all, 13 different brands of central AC are available that meet or exceed the SEER 19.5 rating of the Trane AC unit XL19i. Because the Trane ac unit XL19i and many of the other high SEER rated units above are so energy efficient, you may well qualify for energy-saving grants from your state/provincial or federal government. In the US, the most generous federal rebates were for the 2009 and 2010 tax years as part of the economic recovery package. Some of these rebates were extended by Congress through the end of 2011. For air conditioners and heat pumps you should qualify for up to $500 in Federal tax credits for any ENERGY STAR central air conditioner with a SEER of 16 or higher for split AC systems, and a SEER of15 or higher for split heat pump systems. The tax credits are set at 10% of the price of purchase including installation and are claimed on your tax return. Many US states and Canadian provinces also offer tax credits or other financial incentives for the purchase of a Trane AC unit or other high-efficiency air conditioner. Consult your state or provincial government’s website for details. Trane itself also offers rebates. 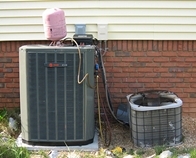 As of May 2012 Trane is offering specific rebates through its HVAC dealers, with instant rebates of up to $1250 on air conditioners. The Trane AC unit XL20i mentioned above – with an SEER rating of 19 – is likely close to the top of this rebate amount, although you will need to check with your dealer for specifics. 2012: a choice between a rebate (up to $1,250 depending on the model), or a 36-month interest-free loan. Contact your authorized Trane air conditioner dealer for more information. In Canada, you may qualify for both Federal and Provincial rebates on the purchase of any of these high-efficiency air conditioners if the upgrade is part of an energy efficiency audit performed under the ecoEnergy RetroFit for Homes program. The initial energy efficiency audit must be performed before any upgrade qualifying for a rebate is performed.